If your first instinct with caring for cashmere is to drop it off at the cleaners, then you should keep reading. 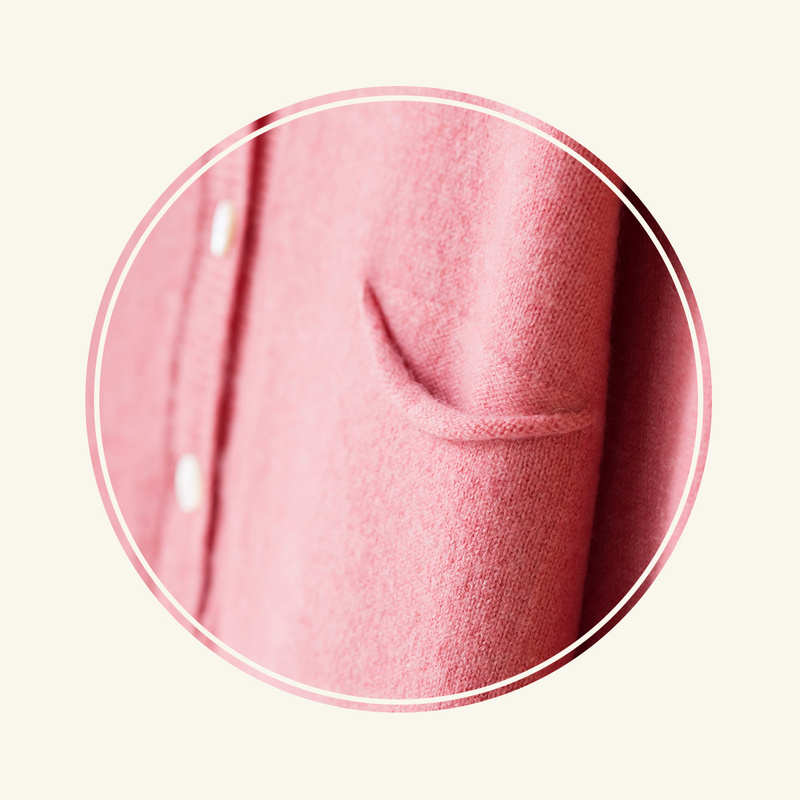 This sophisticated, ultra-soft fiber is incredibly delicate, which makes caring for it more involved. But don’t fret—we’ve compiled this handy guide full of comprehensive care tips. Keep them close and you’ll be primed to preserve your favorite items for many seasons to come. Spills aren’t the end of the word, just remember: spot clean before you submerge. 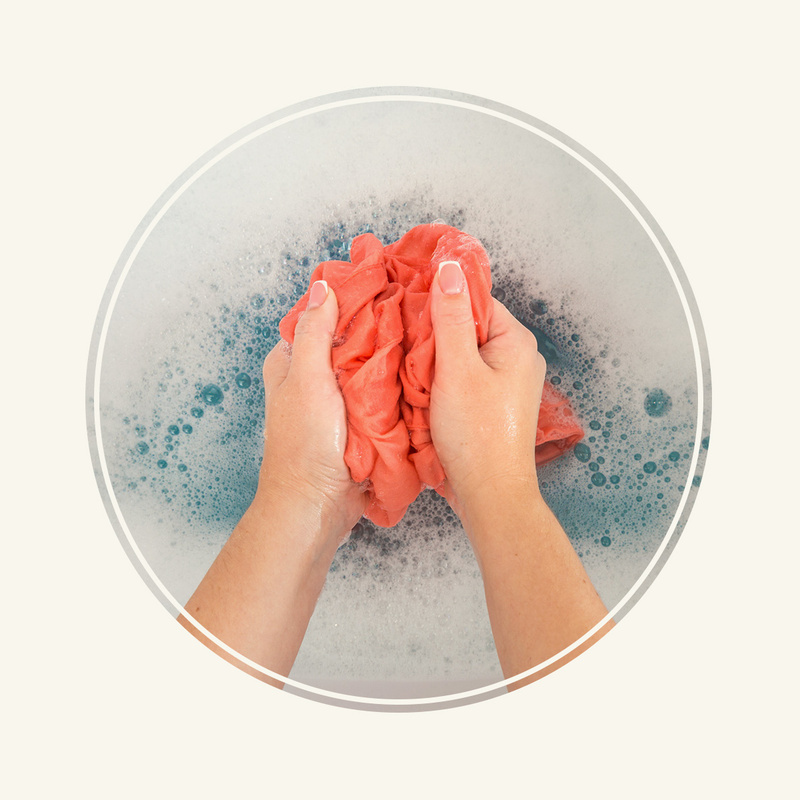 Blot oil-based stains, like makeup, with a clean cloth or paper towel to remove what you can, then soak the item in a gentle, cashmere-safe detergent—baby shampoo is a good alternative. For thicker stains, like chocolate, dip a cloth in a gentle detergent and use it to lightly rub the mark away. Wet stains, like wine and coffee, can be lifted by gently rubbing the spot with a cloth dipped in cold water and dishwashing liquid. If a stain looks too daunting, consult a professional cleaner with cashmere street cred. WARNING: Don’t use machine detergents to spot clean your cashmere, as this can actually set stains rather than lift them away… and we don’t want that. The tag may say “dry clean only,” but taking cashmere to the cleaners shortens its lifespan and takes away its softness. Clean your investment pieces by hand whenever possible. Start by removing any balls of fiber (or pilling) with a sweater stone. Turn the item inside-out and spot treat the under arms and any soiled areas before placing it in lukewarm water (hot water causes shrinkage). 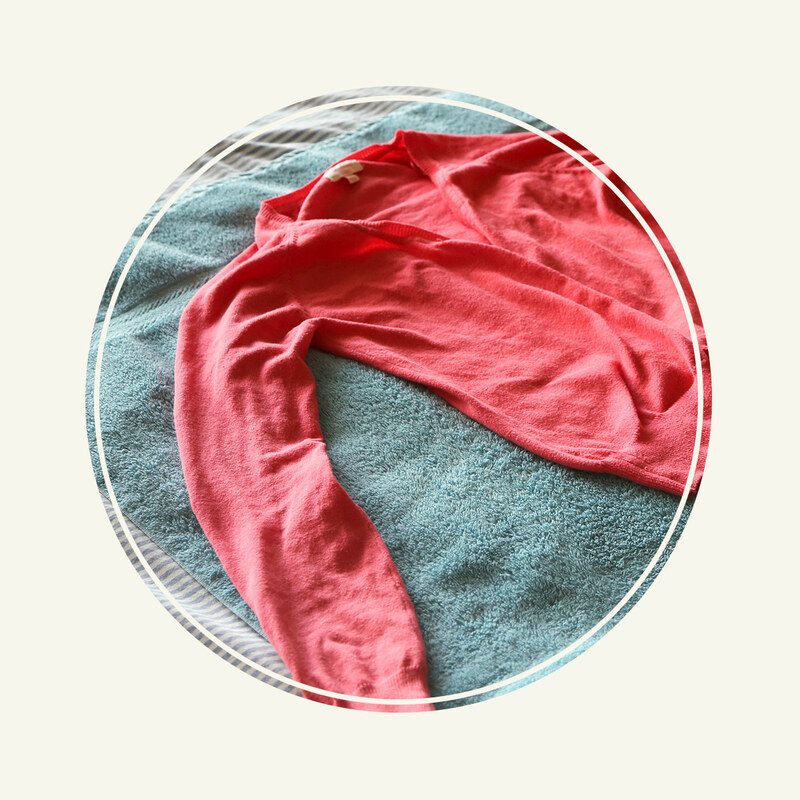 Add a cashmere-friendly detergent, such as Woolite, and agitate the garment a bit before soaking for a half hour. Rinse thoroughly under lukewarm water. If the care instructions on the tag of your garment say machine washable, be sure to select the following settings: 1) cool water, 2) delicates, and 3) low spin. TIP: Avoid overwashing by cleaning your sweater every two or three wears. Cashmere should never (ever!) be put in the dryer, so be warned that this step can be a bit time consuming. First, pat water off the garment with a towel. 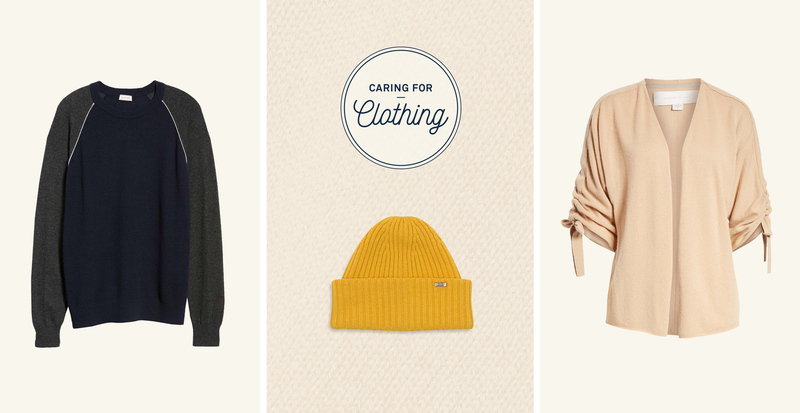 Don’t shake or wring out your cashmere, as it may warp or stretch. Next, lay the garment over the towel and carefully roll it up to remove any additional drips. Finally, lay it flat on a drying rack or towel to air-dry. TIP: Seeing pills on your garment isn’t a sign of a bad product. They naturally occur where there’s friction, such as under the arms. Pills can be removed quickly with a knitwear comb or sweater stone.